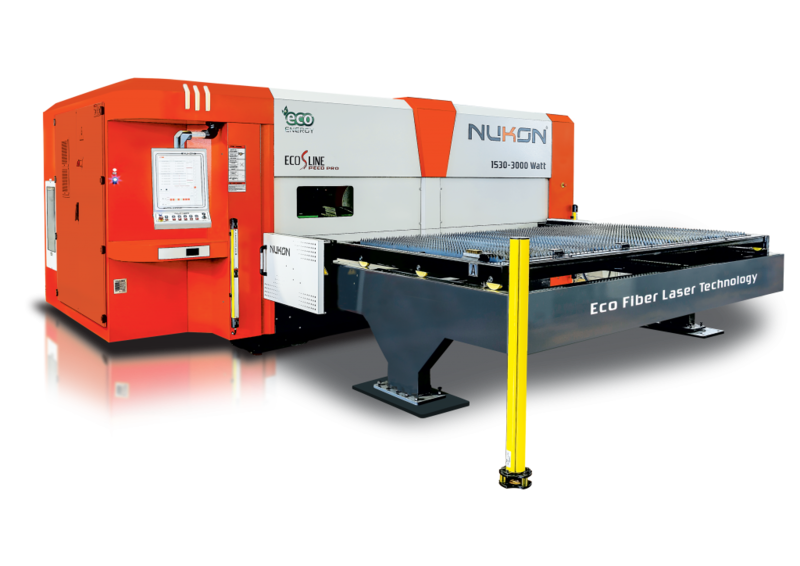 MTL Engineering, well known for repair, servicing and sales of CNC sheet metal machines has launched Nukon to bring the new fiber laser cutting technology to the UK. The Nukon laser machines are already well known in Europe and the U.S. for their speed, flexibility and cost effectiveness and are now available and fully supported in the UK. ‘If you are looking for a new machine we would welcome the opportunity to show you the Nukon Eco series in action. The machine offers fast cutting speed and low maintenance costs, machine controlled dynamic focus adjustment, IPG laser source, Highyag cutting head. It has the advantage of taking minimal floor space due to its side loading design at a very competitive prices.’ says Managing Director Mark Lewis. With so much interest in the Nukon machines interested customers are visiting Nukon Europe and its manufacturing facility to see them in action.